A couple of weeks ago I had a lovely shopping trip with my friend in town - this being Spring in Dublin we got rained on, the wind blew us around a bit and we got rained on some more. When you're shopping with me it will involve you stopping in as many beauty halls as I can possibly fit into our trip and I had to stop off in Arnotts at Smashbox's fab new counter. When we got there I explained to my friend that Smashbox have an amazing photo booth at the counter in Arnotts where you take pictures and and post them directly to social media - and the photo booth is magic, you look amazing in the pictures. How great is that you can get makeup tips take a picture and upload it or print it out. 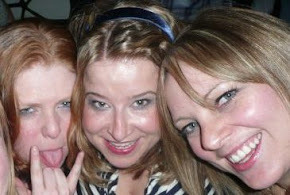 Check me out below with the Andreeas (Yourbeauty and Artdonatella) messing around but looking fab. That fateful day we happened to have been rained on one too many times and looked like Crazy Cat Woman: the Damp Dublin Days - of course we didn't want to remember those pictures so we tried to delete them (word of warning: you can't) only for them to float along the side of the photo booth. We really should have re applied some makeup before jumping into that booth. The only thing to do was to cheer myself up with a bit of a makeup purchase. I have said before I have a bit of a weakness for makeup sets - I find them a great way of trying new products from a brand, sometimes products you wouldn't necessarily pick up or products you have never tried before. The Beauty in Focus set by Smashbox comes in a beautiful makeup bag (which the girl at the counter told me she has used as a see-through bag to go through airport security). In the set Smashbox have included their award winning Photo Finish Foundation Primer, Photo Op Eyeshadow Trio, Lip Enhancing Gloss, Cream Cheek Color and an Eyeliner. Smashbox shadows have an amazing formula. They are soft and pigmented and this trio is such a flattering trio and is fast becoming my go-to everyday eye makeup. Every time I swatch them I am more impressed (seriously go to a Smashbox counter and check out their eye shadows). The shades in the trio are called Vanilla, Crisp and Bittersweet. The cream cheek colour is called Captivate. It's very pigmented so you only need a tiny amount. The colour is a pretty shade which I have also been using on the lips - gotta love a multi-functioning product. The eyeliner is in the shade Brandy which is a brown liner. I love a brown liner it defines the eyes without making you look Scissor Sister like (a makeup fear of mine). Brown eye liner is black liner's classier cousin and Brandy is a interesting brown shade. The Lip Enhancing Lip gloss seems to have gone into some form of witness protection (it's probably hiding out in a pair of jeans trying to assume a different, more sophisticated owner) so I cant swatch it for you but I will say that it was the first thing I tried from the set and I was blown away by it, it feels beautifully moisturising on the lips and the colour makes your lips look amazing - in fact the moment I tried it on I went straight to Smashbox.co.uk to see what other colours were available. I got so excited by this gloss I am not surprised it has gone into hiding. Smashbox Beauty in Focus is a fantastic set which costs €48.00. All you need is foundation and mascara and you have a complete face. I think you would be hard pushed getting all this makeup at the same price from a drugstore brand. 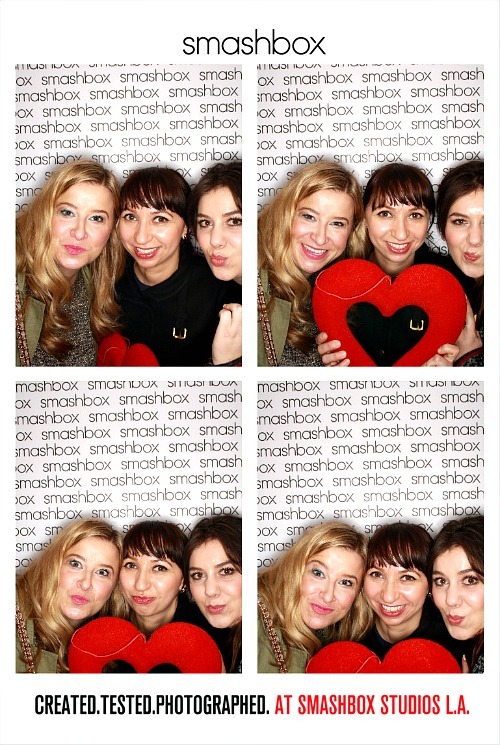 Have you tried out The Smashbox photobooth in Arnotts? 2. I need that set STAT! I'm a huge fan of Smashbox's eyeshadow trios, they're amazing quality aren't they? ?